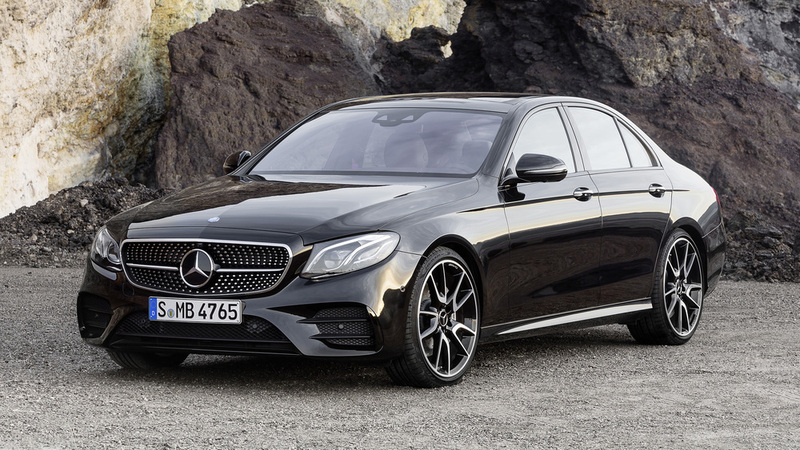 Mercedes-AMG has unveiled the E 43 4MATIC saloon. 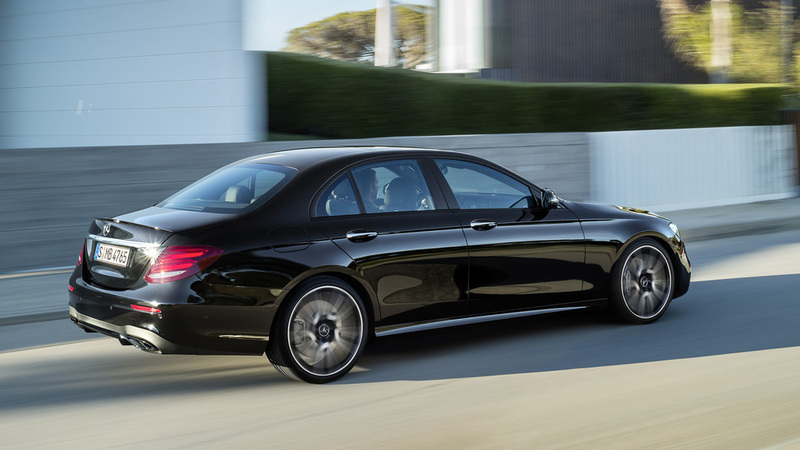 The most powerful variant of the executive saloon is driven by a 3.0-litre V6 biturbo engine with two new turbochargers. The supercharged six-cylinder engine delivers 401 bhp for a 0-62mph time of 4.6 seconds. Top speed is electronically limited to 155mph. 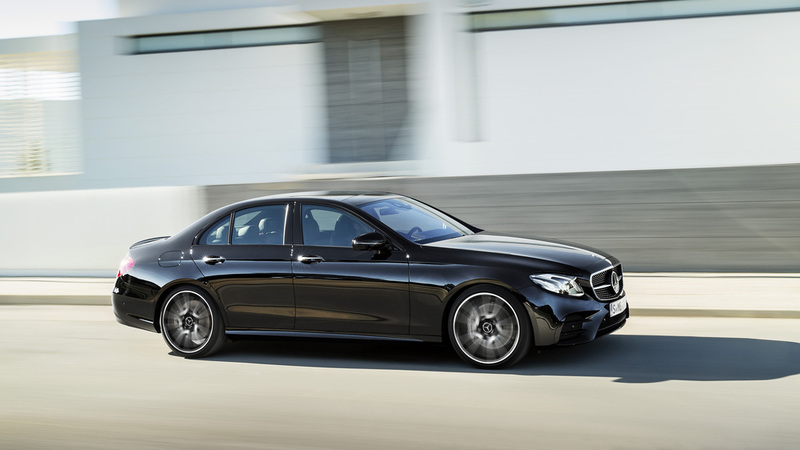 A 9G-TRONIC automatic transmission is specially matched to the requirements of the new E 43 4MATIC with paddles on the steering wheel. A double-declutching function in "Sport" and "Sport Plus" transmission modes makes for an a ‘even more emotional driving experience’. 'Defined ignition intervention' additionally enables faster gear shifting than in "Eco" and "Comfort" modes, while "Manual" mode can be selected using a separate button in the centre console. Meanwhile, the retuned sports suspension based on the AIR BODY CONTROL air suspension and the more direct steering ratio also provide a ‘signature’ AMG Driving Performance. The Adaptive Damping System sports suspension features in a model-specific configuration and offers a choice of three modes - "Comfort", "Sport" and "Sport Plus". The standard-spec AMG Performance 4MATIC four-wheel drive combines ‘optimum traction with high agility’ thanks to rear-biased torque distribution. AMG styling includes three large openings in the front apron to ensure an optimum flow of air to the coolers while the diamond grille with chromed pins, a louvre in high-gloss black and the AMG lettering represent further hallmarks of the AMG 43 models. 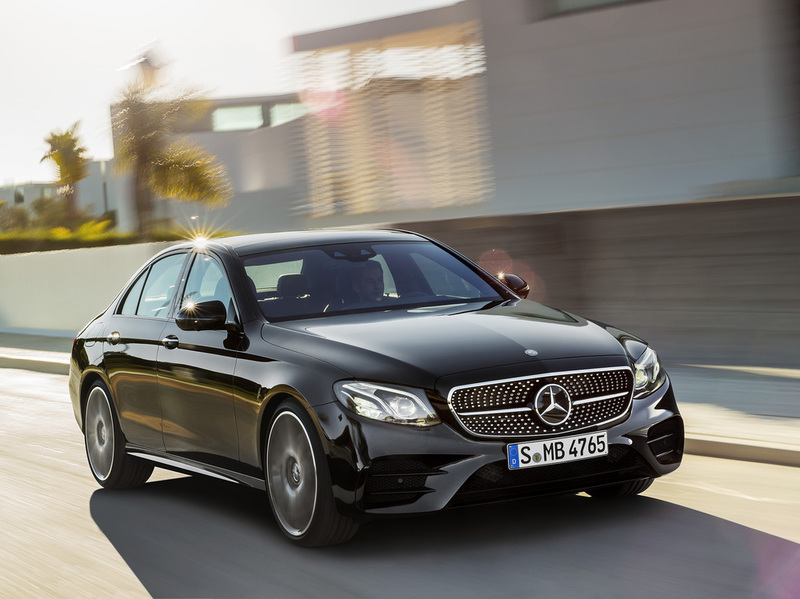 The side view is dominated by high-sheen 19-inch AMG five-spoke light-alloy wheels painted in high-gloss black while at the rear, two chrome-plated quad-flow exhaust tailpipes conveying a sporty aesthetic. The rear diffusor comes in silver chrome, while the standard-spec spoiler lip on the boot lid is painted in the body colour. Inside, a secure position in the sports seats even when driving at speed features improved lateral support. The upholstery in ARTICO man-made leather/DINAMICA microfibre in black (optionally: nappa leather) features red topstitching. To match the seat design, the door centre panels and the dashboard are finished in ARTICO man-made leather with red topstitching. Exclusive pedals, a black roof lining and red seat belts add further sporty highlights. The multifunction sports steering wheel in black nappa leather with red contrasting topstitching and featuring a flattened bottom section is matched by the AMG instrument cluster - delivering all relevant information in a clearly arranged layout, optimised for a dynamic driving style. Two tube-style round dials, the multifunction colour display, the RACETIMER and the 280 km/h scale in chequered-flag design conjure up a sports car feel. 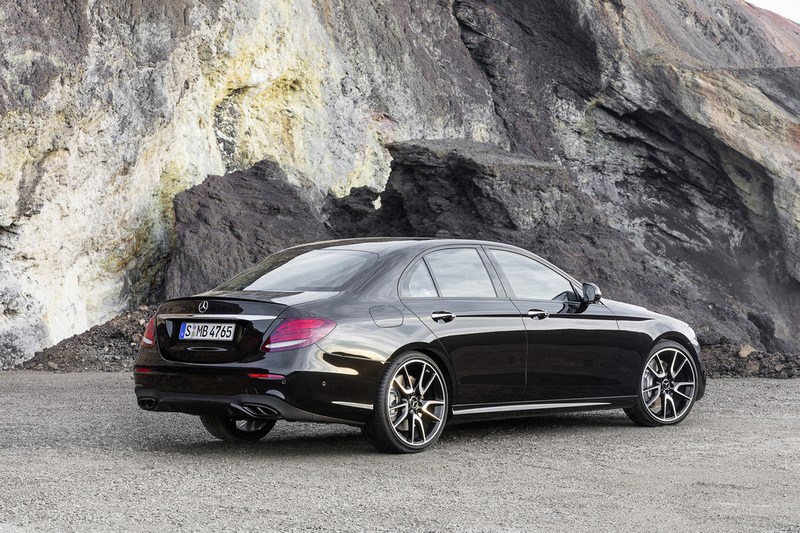 The new Mercedes-AMG E 43 4MATIC will debut at the New York Auto Show in March 2016, before hitting showrooms in September 2016.